Ann Campbell grew up in the Philippines. She wanted to be a doctor, but at her parents’ urging she studied accounting. After that came nursing school. She married an American. They lived in Singapore for 10 years, then moved to Manhattan. With 3 kids their apartment grew cramped, so in 2008 they headed to Westport. Now Ann’s story really gets interesting. She was always intrigued by food. So in 2014 Ann put her degree from New York’s French Culinary Institute — sorry, I forgot to mention that, or that she’d worked at Oceana in the city! — to use. Friends here told her how hard it was to make good food after a long day at work. So she began cooking fresh, prepared meals for busy Westport families. With zest (and flavors). On Thursday, Ann emails a menu. (To join the list, email annskitchenwestport@gmail.com). The ordering deadline is Sunday. She includes whatever inspires her. She usually tries to add something new and special. Armed with orders, Ann shops. She hits a variety of stores, from Whole Foods and specialty stores, to Asian markets in Westchester. On Monday and Tuesday, Ann heads to the commercial kitchen at Harlan Publick in South Norwalk. 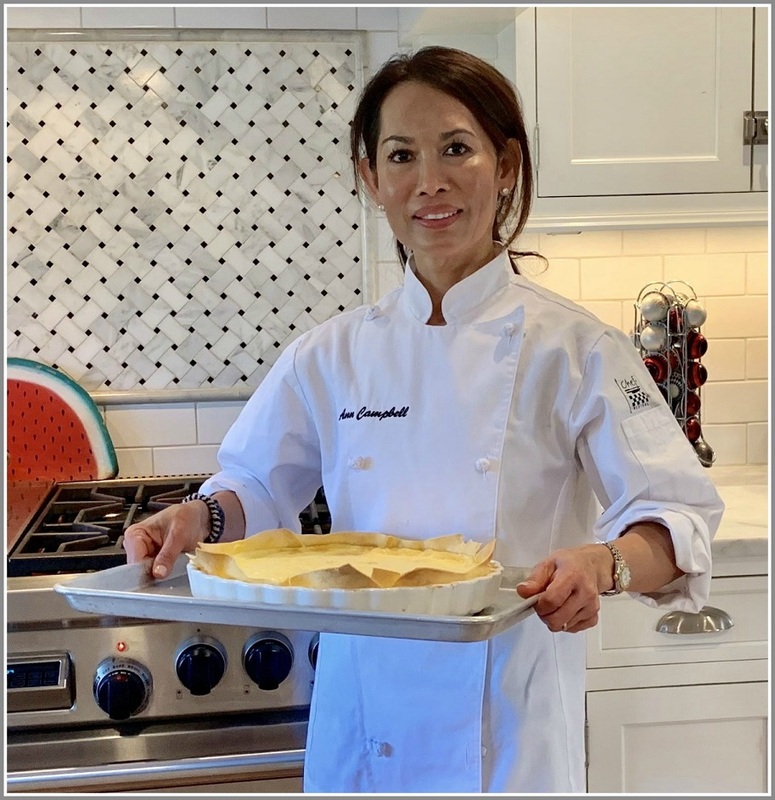 With the help of fellow Westport moms Nicole Von Dohlen and Sally Spencer, Ann makes fresh seasonal salads, soups, main courses and other family-friendly dishes. She draws from an eclectic palate of world cuisines — Asian, European, fusion — always with the freshest ingredients. 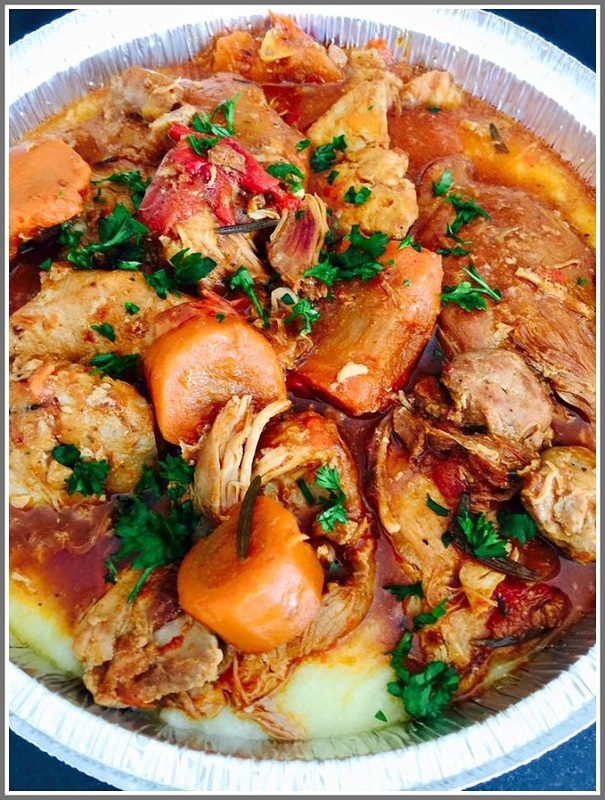 Braised chicken with peppadew peppers. The 3 women bring the fully-cooked meals to Ann’s house. On Tuesday at 3 p.m., customers pick them up. There’s free delivery for orders over $75. Soups — especially Mom’s Chicken Dumpling, from Ann’s own stock (with homemade dumplings) — are quite popular. So is her miso salmon with coconut black rice and vegetables. Also her potstickers. Kids love (of course) Ann’s mac and cheese. Some families order every week; others, every other week, or once in a while. There’s no pressure (other than the hunger pangs you get reading the menu). Ann’s Kitchen is a business. But it’s also a joy. Almost as happy as Ann’s very satisfied — and well-fed — customers. Alert “06880” reader/Donut Crazy fan John Karrel was minding his own business, drinking an iced coffee and sitting on a sofa in the sugar-laden shop on the eastbound side of the train station around 3 this afternoon. All of a sudden, in walked Governor Lamont, with 2 of his security detail. Was he there for a strawberry frosted sprinkle donut? A cinnamon sugar cake? Perhaps one with shamrocks (special for St. Patrick’s Day week)? Maybe the state’s chief executive was checking on the progress of our Transit Oriented Design Master Plan Committee? The governor had to use the restroom. As he was leaving — without ordering — John chatted him up. They exchanged pleasantries. No one else recognized him. 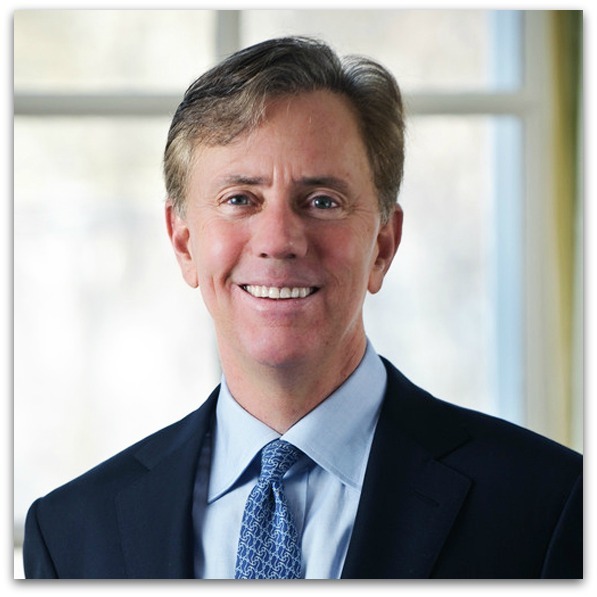 Par for the course, when it comes to Fairfield County and Hartford politicians? Have you seen this man? John Karrel did. It also takes a village to distribute extra donuts, far and wide. I’ve written before about Food Rescue US. That’s the amazing, app-based organization that enlists volunteers — whenever it’s convenient — to deliver extra food from restaurants, grocers, bakeries and caterers to soup kitchens, food pantries and other hunger relief organizations. In fact, last April director Nicole Straight was our Unsung Hero #42. But man does not live by fruits and vegetables alone. A while ago, alert “06880” reader Marjorie Almansi asked Max Kupperberg — a Staples High School graduate, and Donut Crazy employee — what that very popular train station breakfast-and-more place did with their leftovers. He quickly put her in touch with owner Joan Tuckman. Just as quickly, they got Food Rescue involved. Now — every day — those donuts find happy donated homes. 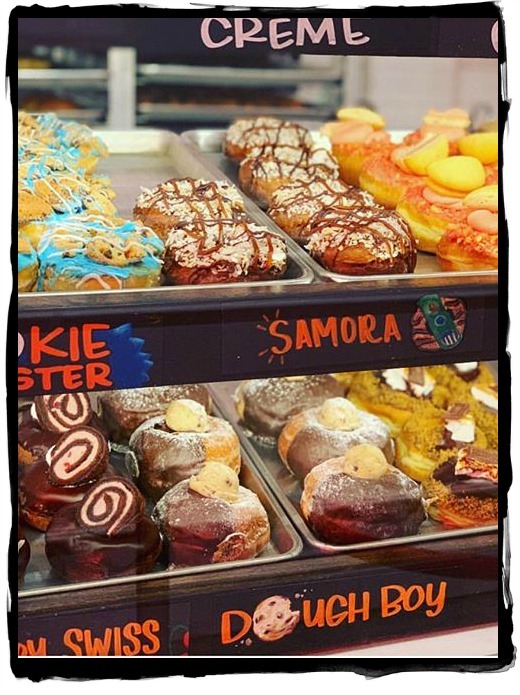 Donated donuts — especially Donut Crazy’s amazing varieties — bring smiles to everyone’s faces. Three times a week, Latisha Williams brings them to Jettie S. Tisdale Elementary School in Bridgeport. She teaches 7th grade social studies there, and says that teachers she never knew before are all friendly to her now. 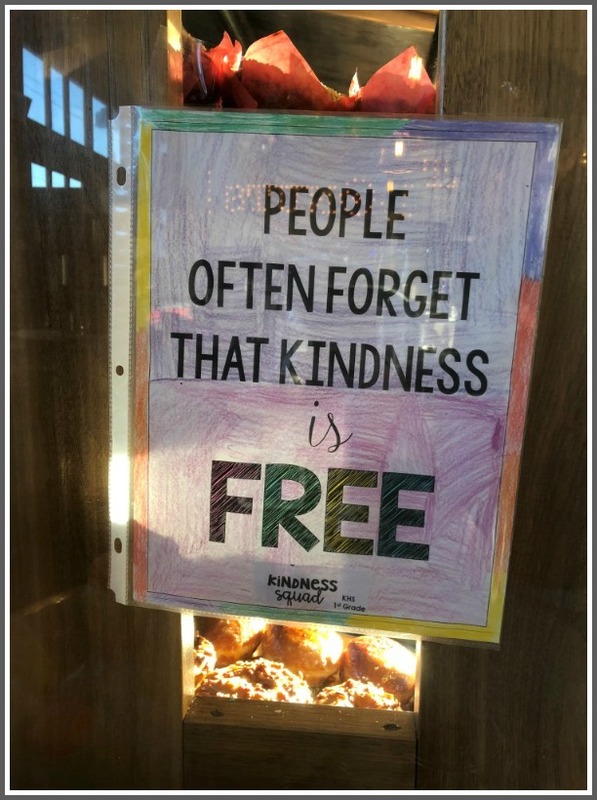 The donuts go to Westport’s Gillespie Center a few times a week too. Marjorie often brings them to the custodians at Staples High School. If there are extras, she’ll give them to anyone else she sees. So — on the eve of Thanksgiving — today’s Unsung Heroes are once again the wonderful Food Rescue US volunteers, and all the participants like Trader Joe’s and Whole Foods. Plus director Nicole Straight, Donut Crazy, Latisha Williams and Marjori Almansi. Forget CNN. Who needs “Good Morning America”? And don’t even think about Channel 12 News. 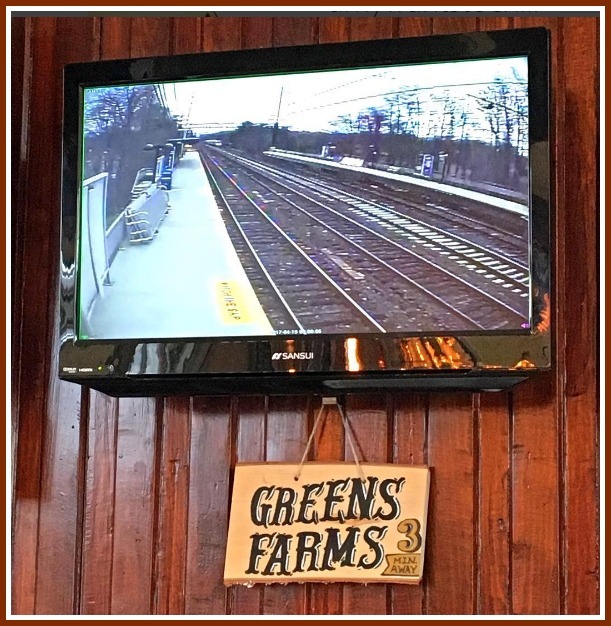 At Donut Crazy — the new and very popular breakfast place on the eastbound side of the Westport railroad station — the TV is turned to a static shot of the Greens Farms station. It’s not as random as you think. As soon as you see your train pull into Greens Farms, you’ve got 3 minutes to get up, scurry through the tunnel, and board your ride to New York. Right up there with strawberry cheesecake, cookies & cream and nutella donuts. The 4th store in the small chain — replacing Steam on the eastbound side of the train station — was expected to open October 1. Finally, the big day has arrived. Ribbon-cutting is set for 11 a.m. tomorrow. Right now, there’s a soft opening. Not Time To Make The Donuts? 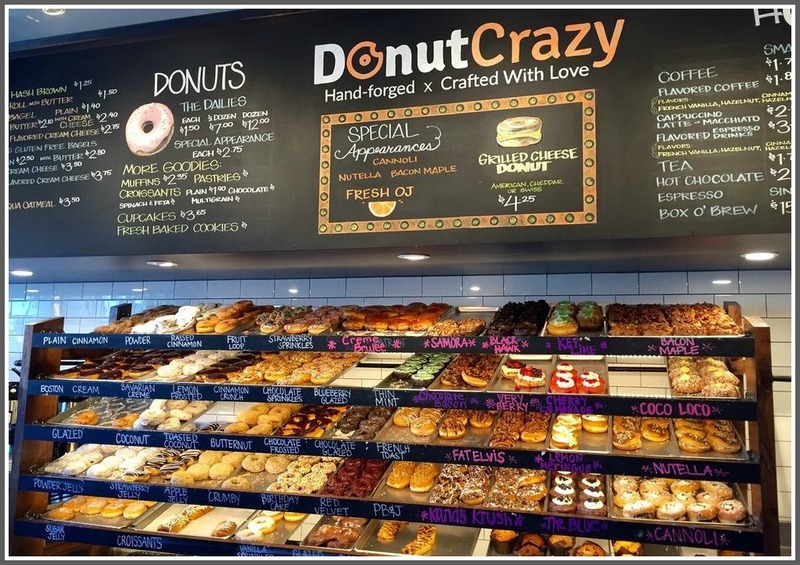 Donut Crazy was supposed to open on the eastbound side of the Westport train station on October 1. 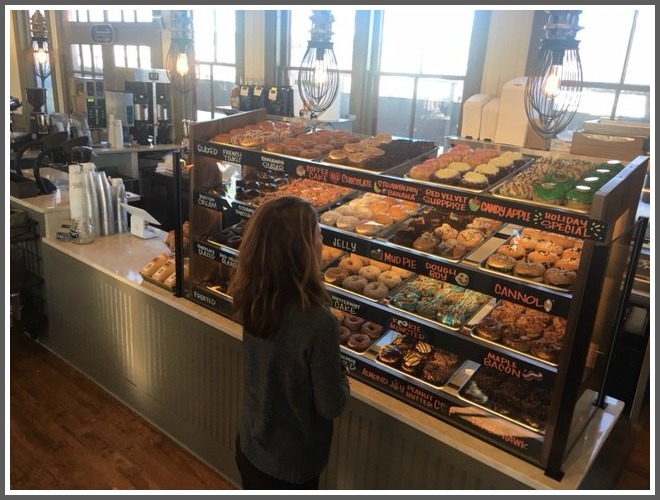 The small chain — with locations already in Shelton, Stratford and Bridgeport — will replace Steam, the former coffee shop concessionaire. Maybe they couldn’t raise the dough? This is what you’ll see when Donut Crazy finally opens.